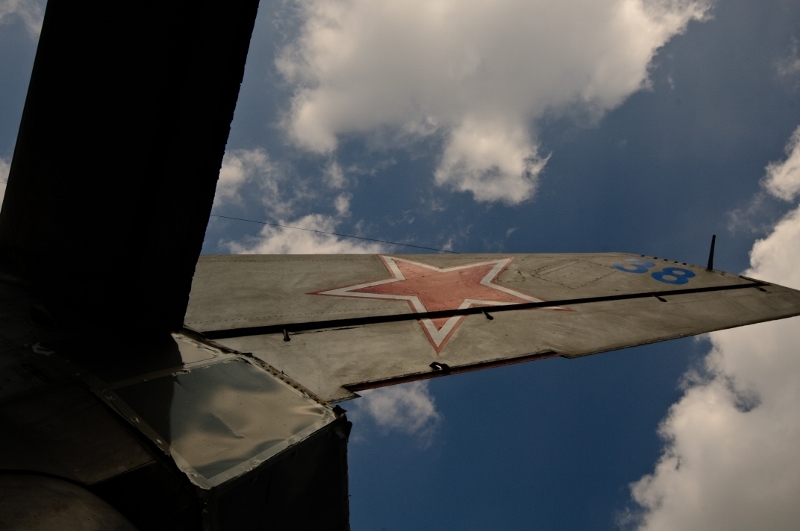 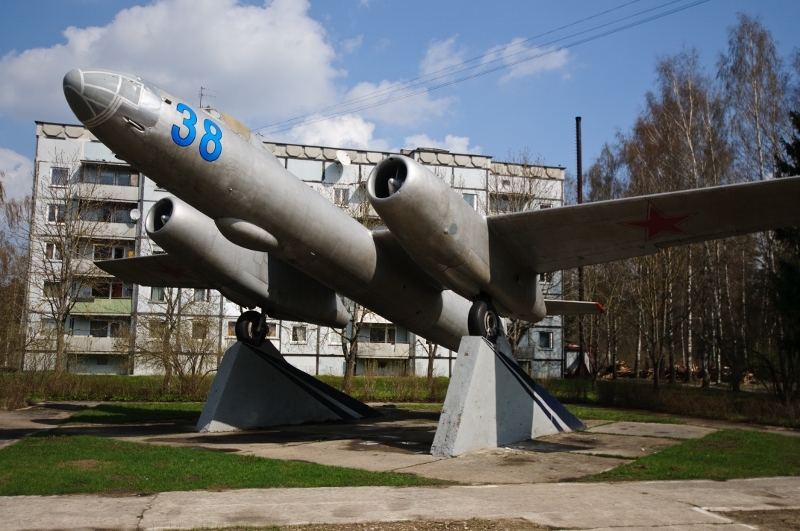 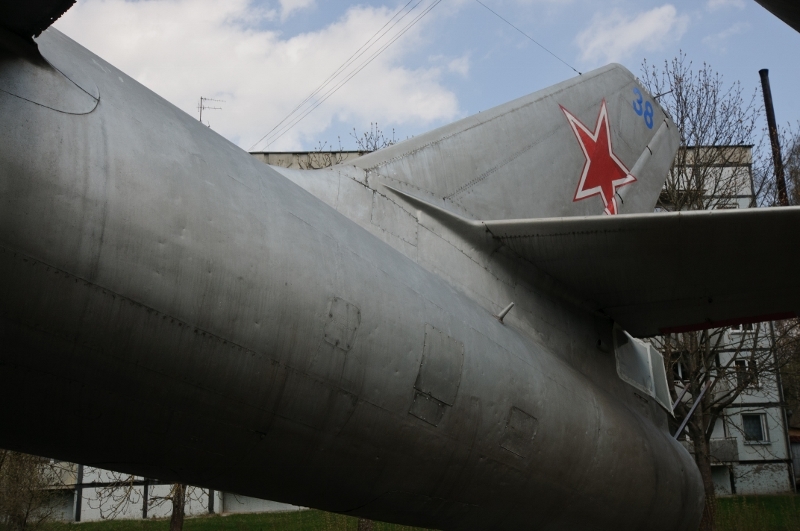 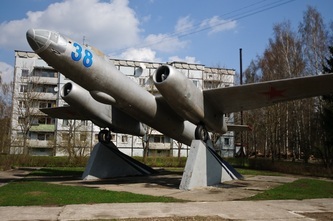 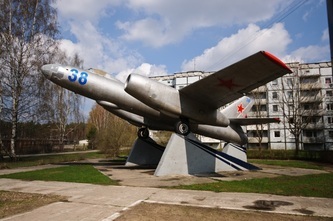 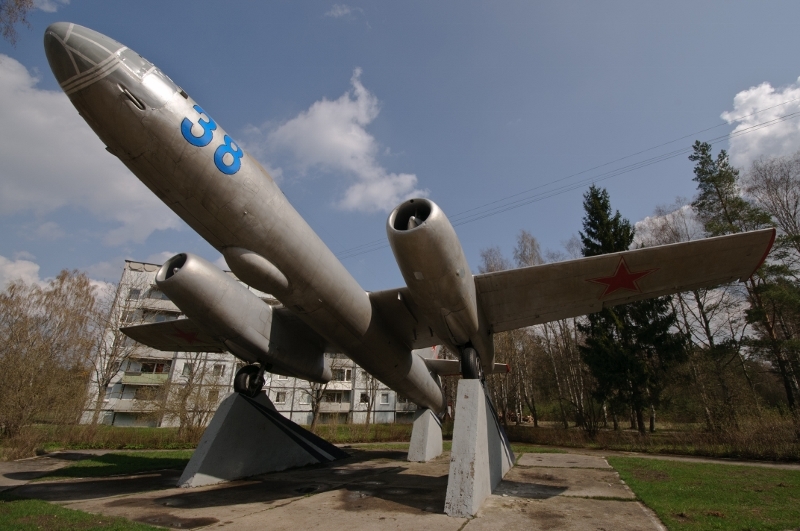 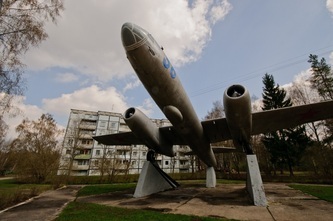 The village of Skulte features a Soviet-era Jet Bomber, the IL-28. This was the first 'series-manufactured' military jet to be produced in the USSR. Work on it began shortly after World War 1. 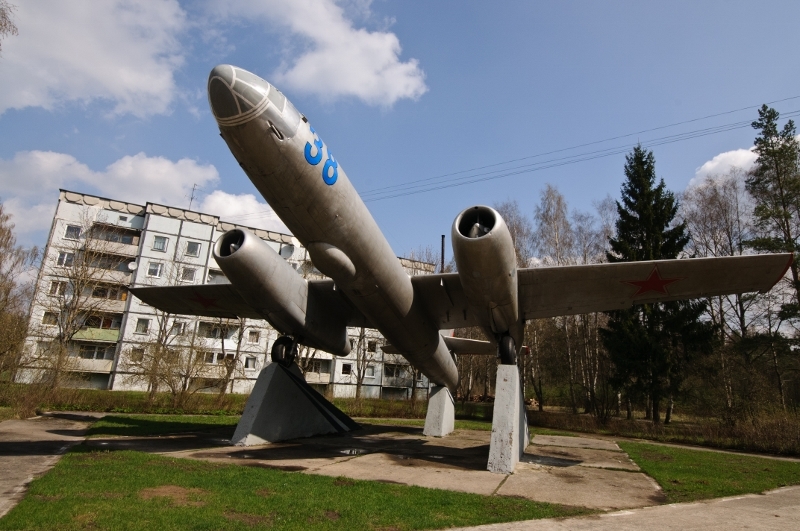 The aircraft was powered by two VK-1A turbo engines. The crew consisted of a pilot, a gunner and a radio operator. 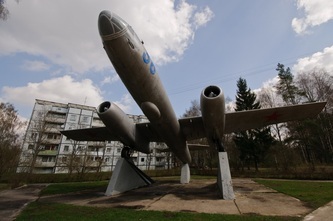 The plane was reputedly easier to fly and far better than 'analogues' from other countries in terms of it's technologies.